Thinking about selling a home in 2019? Here is an inside look into the mind of your potential home buyers. When you are ready to plan your home sale, it’s important we consider these aspects in your plans! 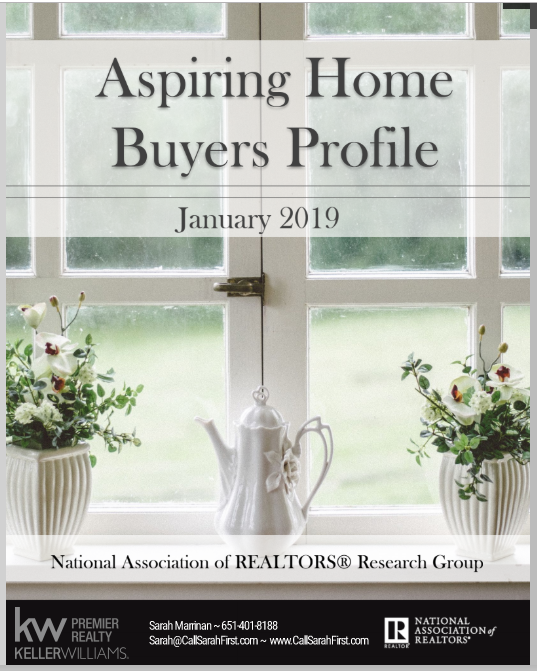 Of the U.S. consumer households that were surveyed each month in 2018, 64 percent of respondents were homeowners, 27 percent were renters, and nine percent lived with someone else. Of the non-owners, 45 percent were 34 years or under, 59 percent make an income of under $50,000, and 43 percent live in suburban areas. For both homeowners and non-homeowners alike, homeownership is strongly considered a part of the American Dream. For non-owners, roughly 75 percent reported that homeownership is part of their American Dream. For owners, nine in 10 believe it is part of their American Dream. Over the course of 2018, non-homeowners; perception that now is a good time to buy a home decreased by four points. In Q4 2018, respondents were asked about adult family or friends moving into their homes, the length of time this individual lived with them, and if they considered moving to a new home because of the change within the household. Eleven percent of owners had an adult child, and five percent of non-owners had an adult move into their home. Twelve percent of those who had someone move into their home considered moving or moved because their home situation became inadequate. Understanding what is happening in the real estate market will help you position your sale for the best possible price, terms and timing in the current market. So how do you know if your market is still hot or cooling down? Discuss these 7 Signs of a Real Estate Market Cooldown with your Certified Residential Specialist.